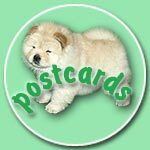 In this section we are going to gather everything concerning chow-chow-owner's life: souvenirs collections, stories about dog shows, presentations of our friends and so on. We decided to start from the collections of chow-chow souvenirs. P.S. 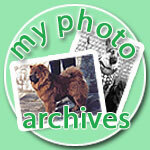 Everybody wellcome to send us the photos of your own private collection of chow-chow things. Just send the photos to owr webmaster.